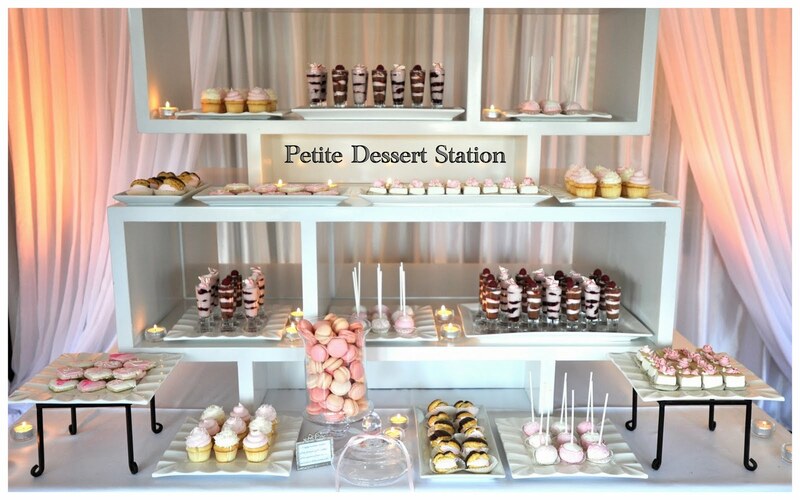 Whether replacing cake or just offering a wider selection of sweets, dessert bars are becoming an interesting and meaningful alternative to the traditional wedding cake. Many dessert bars are created to reference the couple’s past and their families’ traditions. From cookies that remind the bride of her childhood to the homemade ice cream the groom’s mother makes, there are numerous ways for a couple to express themselves in a new and unique way. You can find more great recipes and product reviews from our friends at The Village Bakery. Offer an assortment of cookies types, either traditional home cookies like chocolate chip or unique and sophisticated cookies like decorated lebkuchen or tuiles d’Amandes. Small glass bottles of chilled milk pair perfectly with a cookie bar. A couple could offer their favorite kinds of ice cream flavors, or they could have ice cream that is handmade by a friend or relative. 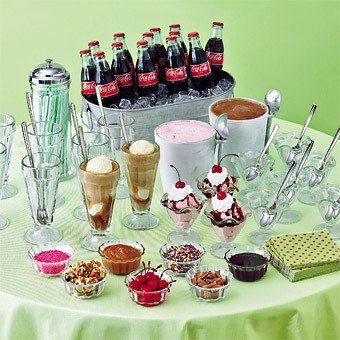 Ice cream glasses and Sunday toppings could be offered alongside so guests could personalize their dessert. Don’t forget sodas if the guests want to create floats instead. 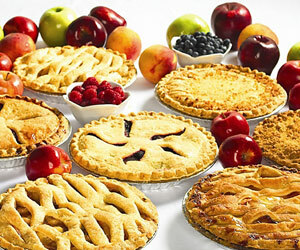 Fruit pies are especially delightful in summer and fall, and with all the fruits available during those seasons it can be difficult to choose just one, so why not have a wide variety. The pies can be made even more personal if the fruit used is grown near the wedding site or where the bride or groom grew up. 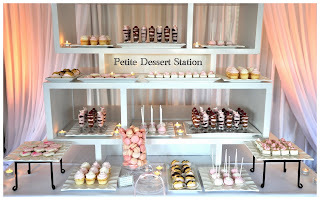 A miniature dessert bar is perfect when a couple wants guests to sample a wide selection of desserts. Every dessert has the option of being miniaturized; parfait, cheesecake, pie, chocolates, cake (even cup cakes can be made in miniature).